Who Are the Top Commencement Speakers? We’ll tell you who! A top graduation and commencement speaker can make a graduation or commencement ceremony by creating a one-of-a-kind heartfelt and inspiring experience that graduates will carry with them as they enter into the next phase of their careers. 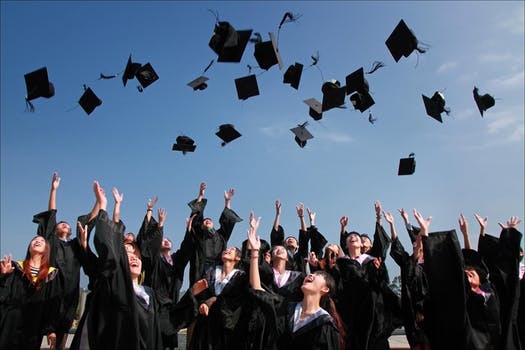 For a memorable graduation or commencement event, consider inviting a famous celebrity speaker, renowned academic, a Fortune 500 CEO, or a motivational speaker who has overcome adversity. 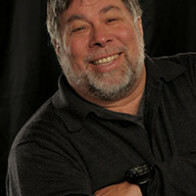 A Silicon Valley icon and tech-legend, Steve Wozniak helped shape the computing industry with his design of Apple’s first line of products the Apple I and II and influenced the popular Macintosh. As the co-founder of Apple Computer Inc. Steve has forever changed the way we think of the personal computer and interact with technology. Woz’s past commencement speeches have focused on continued learning throughout life and also in trusting your independent innovative ideas. Peter Diamandis is a top innovation keynote speaker, futurist, Chairman/CEO of the XPRIZE Foundation, futurist, and a New York Times bestselling author. As founder and chairman of the XPRIZE Foundation, he leads the world in designing and operating large-scale incentive competitions; and as Co-Founder & Exec Chairman of Singularity University, he helps counsel the world’s leaders on exponentially growing technologies. He has authored two New York Times bestselling books: Abundance and BOLD. In 2014, Fortune Magazine named Peter as one of the World’s 50 Greatest Leaders. His speaking is inspirational and paints a hopeful picture of the future that any student can strive for. Shawn Achor is a top motivational speaker, happiness researcher, founder of GoodThink Inc., and the New York Times bestselling author of The Happiness Advantage and Before Happiness. His happiness research has been featured on many media outlets, including Oprah Winfrey, the Harvard Business Review, and in one of the most popular TED talks. He is a firecracker who is sure to empower his audience. He will inspire his audience to take action and be the best versions of themselves they can be. Arianna Huffington is among the most influential players shaping the national conversation on politics, the economy, the media and public policy. An entrepreneur and business leader, Huffington provides an informed view on the state of the current business landscape and the impact of our financial policy on the future of the economy. Her access to Washington’s key decision makers, as well as global and business leaders, allows her to provide a fresh and in-the-know perspective on today’s current events, culture, and politics. Known simply as FlyGirl, Vernice “FlyGirl” Armour went from cop to combat pilot in 3 years. Within months of earning her wings, she found herself flying over the deserts of Iraq supporting the men and women on the ground. After serving two tours overseas, she had become America’s First African American Female Combat Pilot. Vernice is a battle-tested speaker and ignites audiences with a dynamic spark that can’t be extinguished. From the moment she steps on stage, she shows audiences how to acknowledge the obstacles in your life without giving them power and how to create a flight plan utilizing her candid strategies to win on the battlefield of business and life.